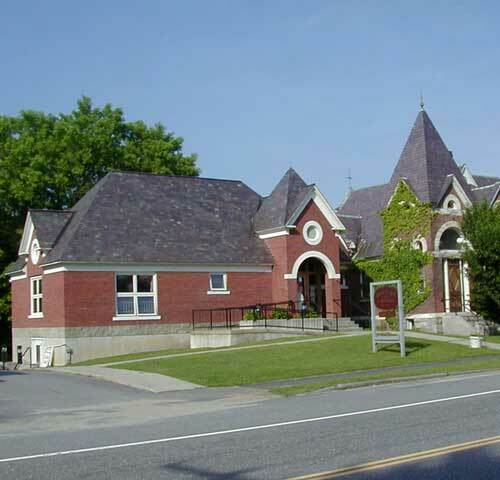 The Whiting Library in Chester, Vermont nearly doubled the size of its existing 1890’s Romanesque Revival building with construction of this addition. NBF Architects, P.C. provided complete architectural services, assisting the Library's Volunteer Board with programming and obtaining a Federal matching fund grant, as well as design and construction phase services. Starting at the new main entrance, the addition brings the Library into compliance with the Vermont Accessibility Guidelines and the ADA. The two levels of the library are now completely accessible to people with disabilities. Detailing and material choices were made in harmony with the existing structure. The new entrance recalls the former entrance, but allows the existing tower to remain the dominant feature on the facade.